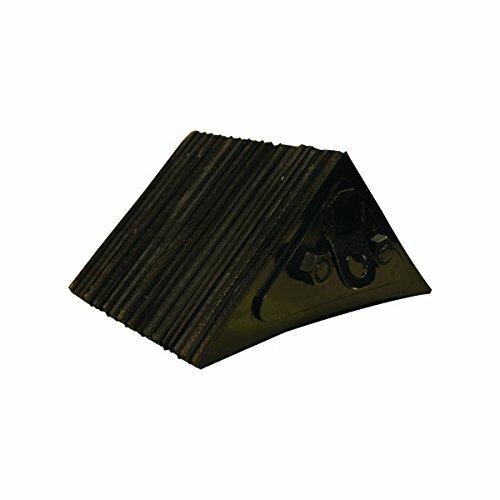 Chock is made of reinforced rubber sheets, laminated between thick steel end plates. Its curved surface grips the road for superior wheel holding power, while a welded steel eye helps secure it against loss. 11.5 lb. 11"L x 6"H x 8"W.